Dr. Schussel graduated in Dentistry from Federal University of Parana (2003), Master's and Doctorate in Dentistry (Oral Pathology) from University of São Paulo, with a doctorate period at Johns Hopkins hospital-Head and Neck Cancer Research Division (Baltimore - USA). Post Doctorate PUCPR (2012). Member of the medical staff of Erastus Gaertner Hospital - Oral and Maxillofacial Surgery. 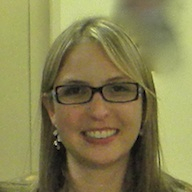 Post-doctoral student in the Graduate Program in UFPR Dentistry. Permanent Professor at the Graduate Program in UFPR.